QUALITY TRANSMISSION SERVICE SINCE 1965! 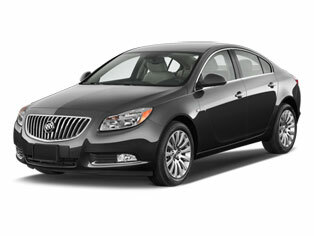 Believe it or not, Buick (founded in 1899) is older than any other American company still making cars. Today, the company makes high-quality passenger cars and a crossover/mini-van named the Enclave. In years gone by, Buick produced some of the legendary nameplates in American motoring, including the Roadmaster, Riviera, and the blazing-fast Grand National. As a member of the GM family, Buicks share suspension parts, engines and, of course, transmissions, with other well-known brands, so parts are readily available. Here at A1 Transmission Service Center, we've been rebuilding Buick transmissions since 1965. Whether you're driving a beloved classic from the 70's or one of the company's stylish new offerings, we're never surprised by what's under the hood. There's no replacement for experience and we have all the tools needed to get the job done right and bring your Buick's transmission back to factory specifications. No matter which Buick you drive, bring your transmission challenge to us. We'll diagnose the problem and get it fixed at a price your wallet will like!